Our Bangkok Tanao Rd. 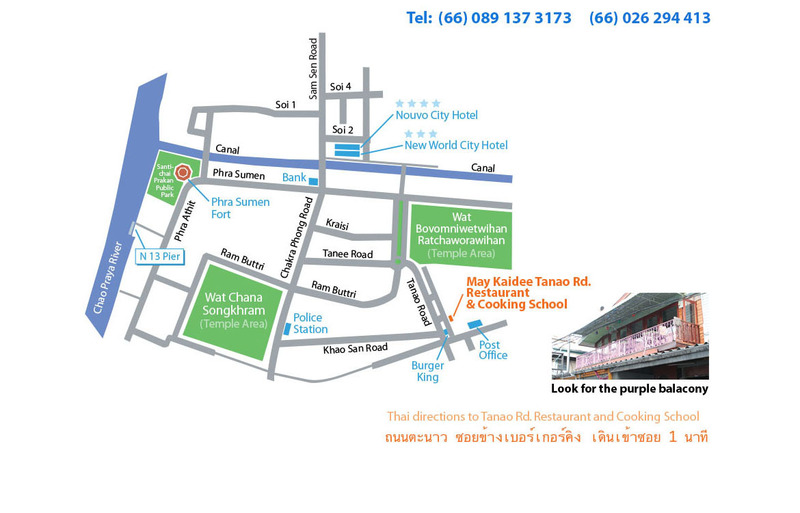 restaurant and cooking school is located behind the Burger King at the end of Khao San Rd. When facing the Burger King, walk through the alley to the left and look for our green sign immediately to the right.